Zakynthos. 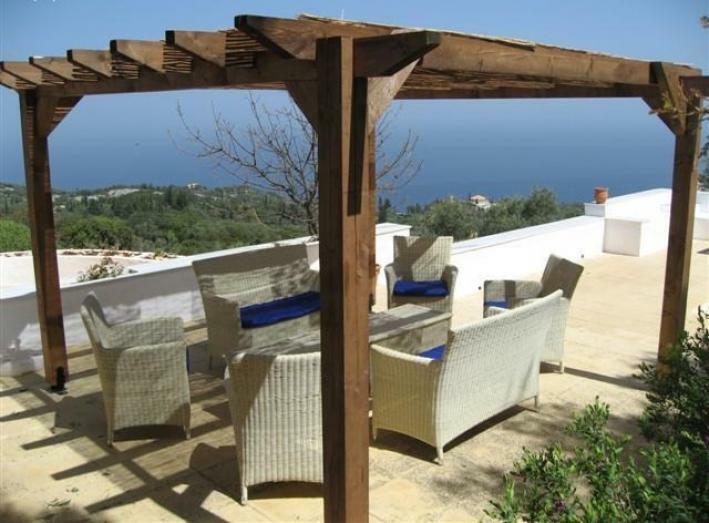 Magnificent villa 165sqm on a plot of 8,054sqm is for sale. 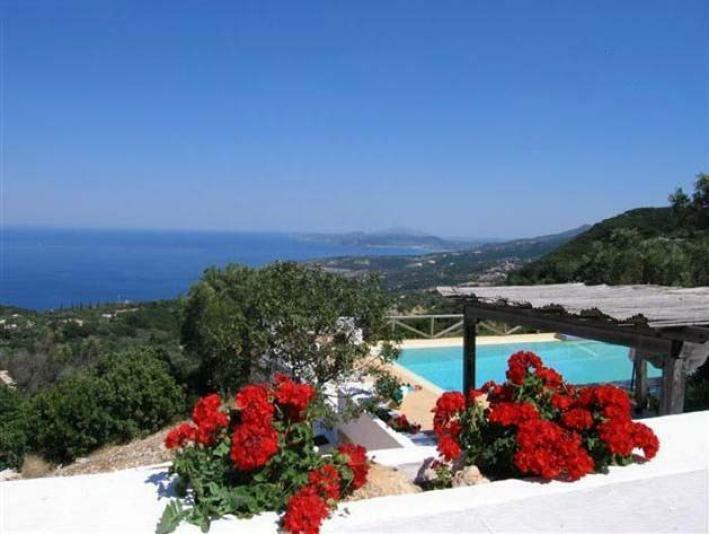 This is a stunning and secluded villa with lovely sea views. Available fully furnished and includes 4 bedrooms and a separate guest studio 30sqm. 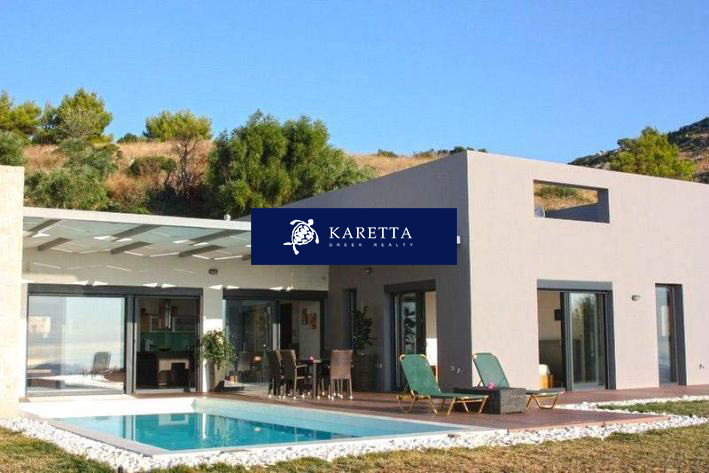 It has a very large pool 72sqm within a large plot 8,054sqm, surrounded by olive trees and offers spectacular unobstructed views of 80 degrees in the Gulf of St. Nicholas in the north of the island of Zakynthos, Kefalonia to the north and in the south of Alykes Peloponnese. The property was built approximately 7 years ago. There are many small sandy beaches near the property, walking is a great beach in Alykes. 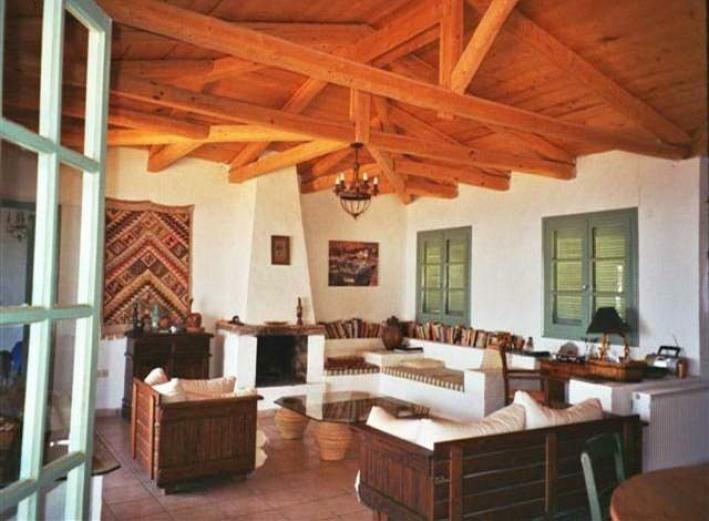 The airport is about 45 minutes by car, while the port of Agios Nikolaos is just 5 minutes. 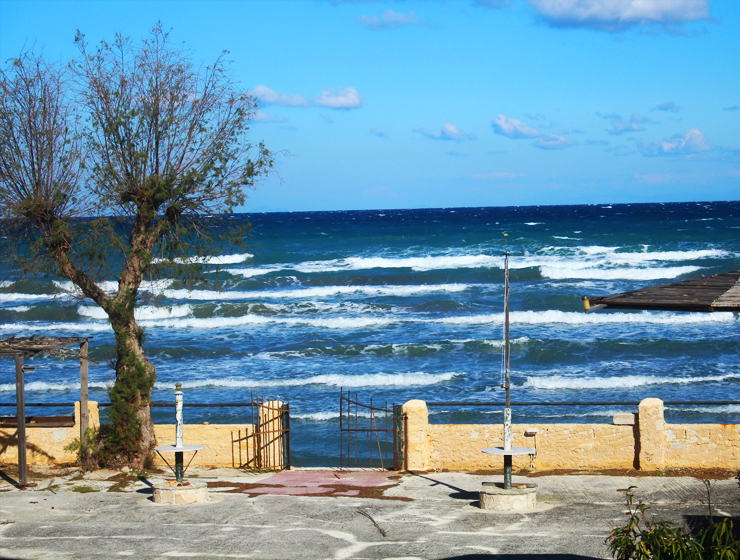 There is a good selection of restaurants and tavernas just 5 minutes away by car. 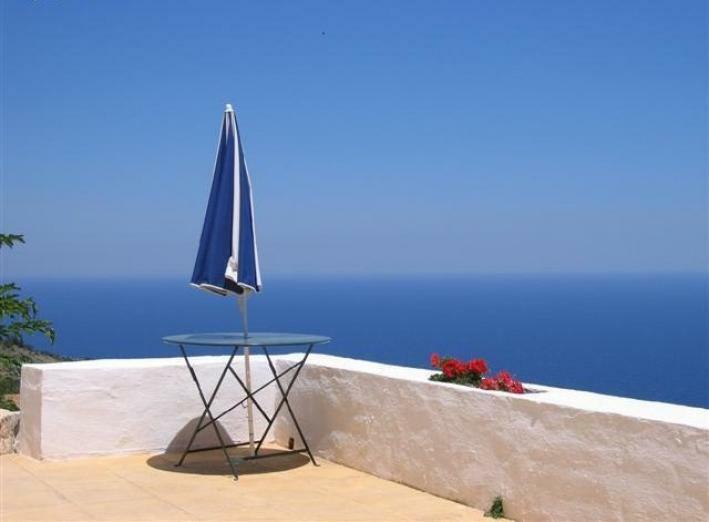 This villa has great rental potential and could provide a good income for someone who wants to exploit. The property is designed in one level except the master bedroom which is at a higher level with a private balcony and breathtaking view. 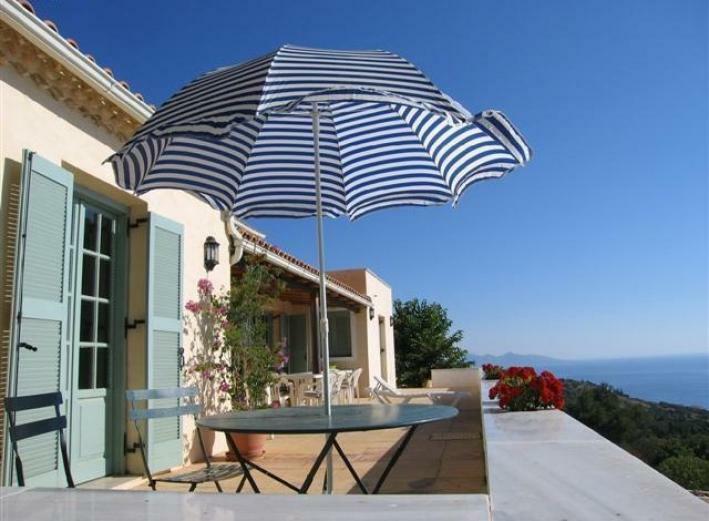 Property details: • 4 bedrooms all with private bathrooms. 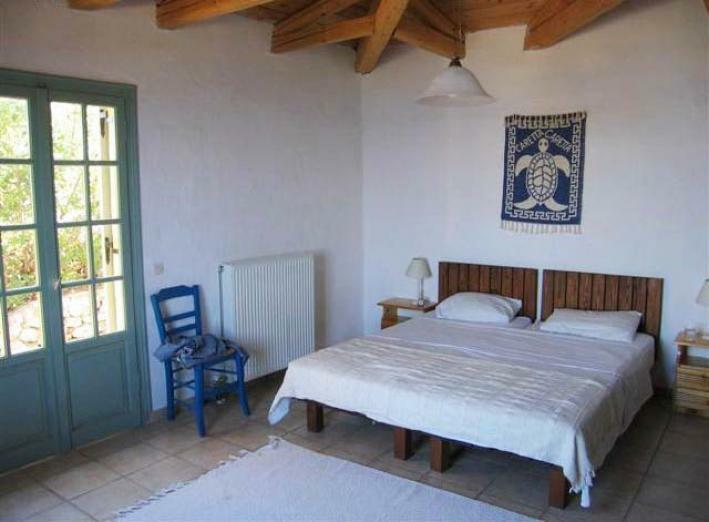 • All rooms, except smaller with bunk beds, open onto terraces giving the property an open and airy atmosphere. • Large terrace with brick built BBQ and an area ideal for alfresco dining. • Very large open plan living / dining / kitchen area with 3 sofas, beamed ceiling and fireplace. • The kitchen includes refrigerator, gas cooker, gas oven, electric oven, microwave and dishwasher. It is fully equipped with coffee maker, cutlery, porcelain, glass and utensils. • Satellite antenna. • Fully furnished. • Separate studio cabin within 2 minutes walk from the main house includes: • Double bed. • Kitchen. • Upstairs space. • Parking. • Extended cab if required. Sale price: 800,000 Euros.